Skin is a very important part of our body and all the people have a different type of skins and their skin problems also vary because of it. These skin problems are faced by the people of all ages either it is old age people, teenagers, or children. All are really worried about their skins and in this type of situation, people try to find the best skin specialist doctor who can provide you proper treatment and guide you in the best possible way. So to help you with your problems we have made a list of top 10 skin specialists in Jaipur who will solve all of your problems regarding your skin and will give you the best treatment. He is one of the best skin specialist in Jaipur at Jaipur Skincity hospital and is specialized in Dermatologist, Cosmetologist, Trichologist & Skin Specialist and when you will visit their hospital they will provide you the best facilities for skin treatment, hair treatment, etc. They will help you out with your skin problem and will give complete and proper treatment. Moreover, he is a consultant also so you can comfortably discuss your problem with him. Address:- 26, Satya Vihar Colony, Next to Jain E.N.T. Hospital, Lal Kothi, Jaipur, RJ 302022, India. Dr. Dimple Kothari is one more skin specialist at Jaipur Skincity hospital and has done specialization in Dermatologist, Cosmetologist, and Dermatosurgeon so she can guide you more efficiently on how you can deal with your skin problems. She is always up-to-date so you can contact her whenever you feel the need of discussing any of your skin or hair related problems. She is so dedicated to her work and has very friendly behavior so this makes her unique from all other skin specialists. Dr. Anshu Jain is the skin specialist at Skin & Laser Clinic and she is also a member of Indian Association of Dermatologists, Venereologists and Leprologists (IADVL), Aesthetic Dermatology & Dermatosurgery Society (ADDS), Association of Cutaneous Surgeons of India (ACSI). She has an experience of 25 years in Dermatology and also does hair and nail treatment along with skin treatment. Phone:- 0141-2230 016 , +91-90574 45566, +91-94140 42356. Dr. Vishal Chugh is a skin specialist in Jaipur, Rajasthan at the Radiant clinic where they use the latest tools and techniques for the treatment. Dr. Vishal has achieved a gold medal in MBBS and MD. along with skin treatment he has also done specialization in hair treatment and has a team of well-experienced doctors who are trained from the best institutes and overall they have treated 1000+ patients till now. He comes in the list of top skin specialists and works at Renova Skin & Laser Clinic. Dr. Puneet has done specialization in Dermatology and has the experience of more than 16 years. They try to give complete treatment with a quality of work at reasonable prices. He says that all the people have the desire to look good and they accomplish people’s desires. For more details, you can visit the hospital or call. Dr. Aklish Jain is another skin specialist doctor in Jaipur who can help you out with your skin problems. He works at the Outbloom Clinic and he has a specialization in hair transplant and a laser treatment so if you have other problems like this so you can contact him whenever you want as he is one of the best skin therapy doctors in Jaipur. For more details either visit their hospital or give them a call. Dr. Nitin Kumar Saxena is a reputed skin specialist at Rejuvenate Skin Hair & Laser treatment at Jaipur, Rajasthan. He is a member of the Cosmetic Dermatology Society of India so he is always up-to-date and aims to serve people in the best way he can. He also deals with hair related problems so you can contact him if you face any problem regarding your skin or hairs and he will guide you and provide you the treatment therapy. She is a lady skin specialist doctor in Jaipur at her own clinic named Dr. Priyanka Sharma hair & skin clinic. Dr. Priyanka is a dignified lady who deals with the problem of hair and skin treatments. She has a very friendly nature so that people can tell their problems to her freely so you can contact her whenever you want. 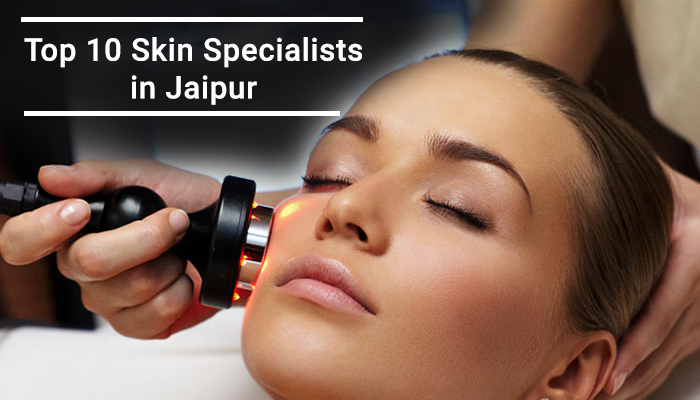 Dr. Atul Jain is a Dermatologist at Dr. Atul Jain- Skinaa Clinic in Jaipur, Rajasthan. He deals with all the problems of all type of skin and for his dedication, he has also received so many awards. For more details, you can contact the below-given details. She is completely dedicated to her work and has a very friendly nature so that the patient doesn’t hesitate in discussing their skin problems with her. She treats her patients very politely and calmly and works at her own clinic named Dr. Neha Prasad Clinic. So if you have any skin related problem so you can contact her. Address:- 6/384 Malviya Nagar In Front Of NW Railway Headquarters Jaipur, Rajasthan 302017, India. Hope that this list of top 10 skin specialist in Jaipur might have solved your problem that which doctor you should approach for your skin problems as this is very necessary to take care of your skin.